Hello! I've decided that I wanted to follow and give weekly commentary on an anime that's currently airing (shocking). I always wait until an anime is finished airing until I start watching it, but this is something that I've always wanted to do on my blog. 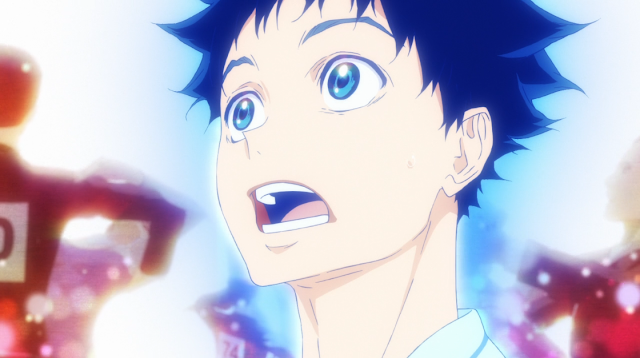 Although I'm like five weeks late into the summer 2017 anime cycle, I've finally decided which anime I'm going to write about weekly on this blog, and that's Ballroom e Youkoso. I chose to follow Ballroom e Youkoso because the concept of the anime is one of a kind from what I've ever seen (never seen a ballroom-based anime), and the anime sticks out from the rest that's currently airing. I went into watching this anime blindly without doing any research prior to watching besides reading the title of the anime after reading the list of anime titles that were going to air this summer; cause who really bothers with that stuff anyways. 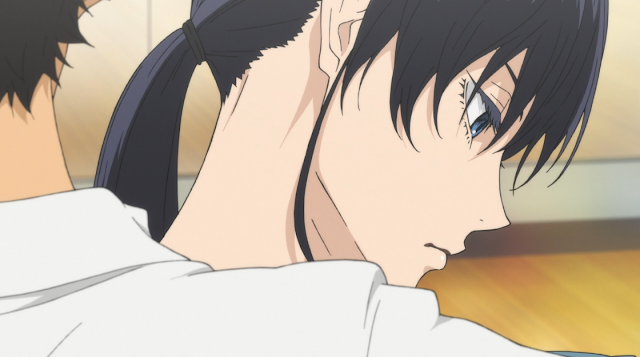 Within the first few minutes of watching Ballroom e Youkoso I realized that the manga was picked up by Production I.G, the same studio that worked on Haikyuu, and the character designs were done by the same person who worked on Haikyuu as well. Both of these findings were fine in my books since I enjoyed watching the whole spectrum of what Haikyuu had to offer; hopefully that same energy is brought into Ballroom e Youkoso. So the first episode introduces us to Tatara Fujita, who we will be following throughout the 24 episode-long anime, who brings in the typical middle schooler storyline where he's about to enter high school without any set goals of what he wants to do in the future. He stumbles across a dance studio, owned by a ballroom pro named Kaname Sengoku, does a trail lesson, and ends up taking home a CD containing Sengoku in his glory. It's after watching the video that Tatara gets pulled into the world of ballroom dancing, which leads him to blurt out to Sengoku that he wants to be a pro like him the following day. Although taking it as a bluff, Sengoku takes Tatara up on his wishes, only if he learns "the box," which is some sort of ballroom move. After demonstrating how the box is done, Sengoku gives Tatara the studio to work on the box, he thinks that Tatara will probably give up in 20 minutes and leave, believes that this is just a phase and he'll leave the studio soon. Turns out it wasn't a phase, as Tatara was mastering the box until morning while Sengoku fell asleep. Sengoku was clearly caught off guard, and gets all shaken in his boots after realizing Tatara was probably being serious about wanting to be a pro. Needless to say I was entertained by all of this. We're also introduced to Shizuku Hanaoka, who also dances at the same studio and goes to the same school as Tatara. Can't really say much about her at the moment other than she takes a liking to Tatara after witnessing his box. I don't know anything about ballroom dancing, so I'm looking forward to learning what it's about and the terminology used in the ballroom world. 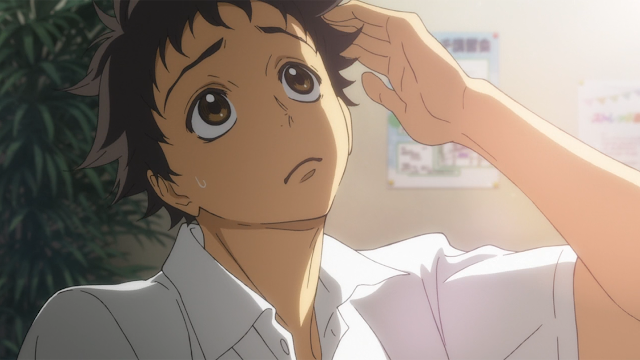 I also like Tatara, he gives me an air of a young Chihaya from Chihayafuru; determined to make ballroom dancing work for him much so as karuta worked for Chihaya. Although it's the first episode, I much enjoyed what it had to offer, seems like Tatara is going to be determined to be a pro, Sengoku will be there to assist him (and be our comedy relief), and Shizuku's there as well who also has the same goals as Tatara. Let's see how far Tatara can take his "ballroom" skills too. That's it for my commentary of the first episode. 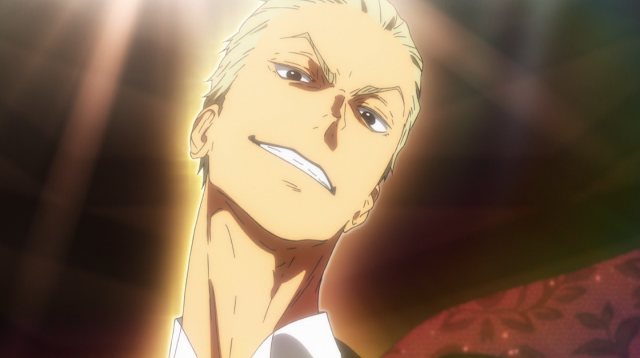 Hopefully the remainder of my commentary for the rest of the episodes won't be this long, but I'm excited to watch with the fans of Ballroom e Youkoso as it airs. I know I have four more episodes to catch up on, so I'll be pumping my commentary for the remaining episodes within the next two weeks until I catch up with everyone else. Anyways, let me know what you think about this anime! I have hopes Production I.G will do this one well.